If you need articles or need videos this is the place to visit. You can also choose one of the items from the drop down menu. The articles are on Ezine Articles. You can visit Ezine Articles and then you can look through the posts, or type MJ Schrader and the keywords you need. Articles by me with your terms should pull up. 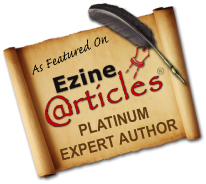 On the article you want, scroll to the bottom and use the EzinePublisher button to get material that is ready for your blog. For more detailed instructions, read Using Ezine Articles and Adding an Ezine Article to Your Blog will help you get the articles you need and how to best add them to your blog or website. There are two video channels to choose from for you. Visit MJ Schrader TV For videos that make your inner rockstar shine in life. Or maybe you need instructional, freebie or other videos about making your inner rockstar shine in your online business. This YouTube channel is not being updated as often now. The video below will teach you how to embed a video on your site.